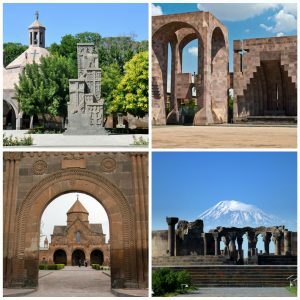 Start end in Yerevan – one of the ancient cities of the world – 29 years older than Rome. Hike from Sanahin Monastery to Haghpat Monastery through the Debed gorge. 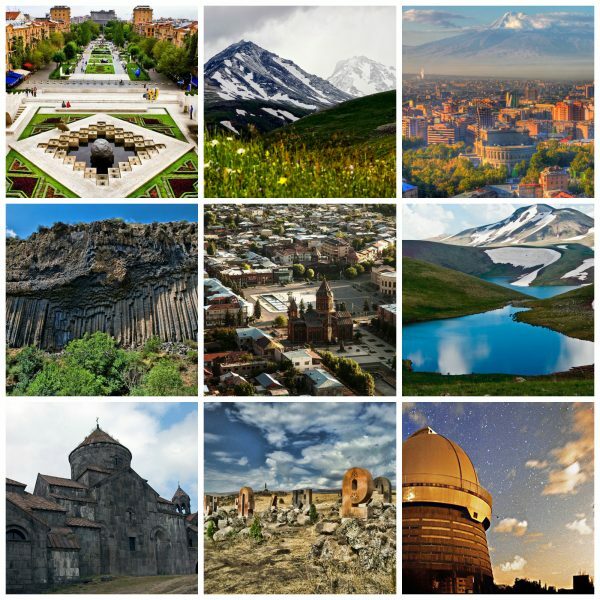 Visit Gyumri – the capital of Shirak province for a city tour. Hike to one of the summits of Aragats Mountain starting at Lake Kari at an elevation of 3,190m. 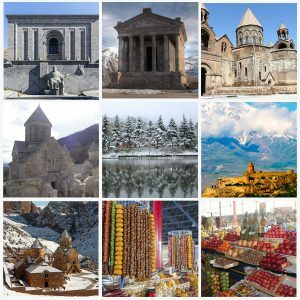 Spend the day in Yerevan – enjoy the guided city tour. 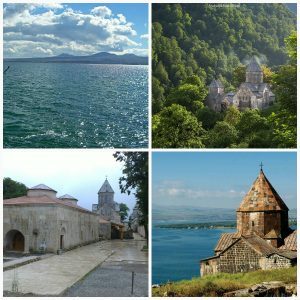 Travel to Lake Sevan for a new experience – hike to Azhdahak – the highest peak of Geghama mountains. Return to Yerevan. Opt for a countryside tour of your choice from the selection offered by SunTour Travel. Arrival at any time. Transfer from Zvartnots International Airport to the hotel. Travel to Sanahin Monastery in Lori province to start your guided trekking tour. Sanahin (meaning “older than the other”) monastery complex is a UNESCO heritage site since 1986. Explore the complex then walk the trail for about 7km from Sanahin to Haghpat monastery through the Debed gorge. Overnight at Qefilyan hotel. 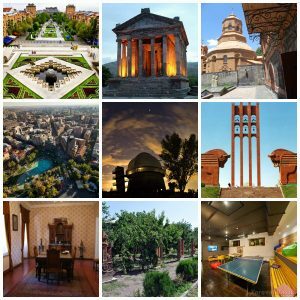 Travel to Gyumri – the second largest city of Armenia. 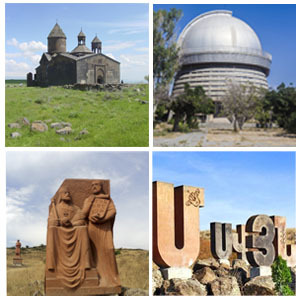 Explore the city hallmarks and surroundings, visit the Dzitoghtsyan Museum of National Architecture then on to the Monument of Mother Armenia. Continue to Varpetats street then explore the city center. Have lunch at Gyumri’s Fish restaurant to sample local delicacies. Overnight in Gyumri. Travel to Aragatsotn province and start the guided trekking tour to Aragats mountain. Start the hike from Lake Kari (meaning “stone lake”) at an altitude of 3,190 m. The Aragats mountain has four summits – the northern summit (4,090m), the western summit (3,995.3 m), the eastern summit (3,908.2m) and the southern summit (3,887.8m). The trail will be planned ahead of time according to the season and weather conditions. Return to Yerevan for a relaxed evening. Yerevan city sightseeing tour. 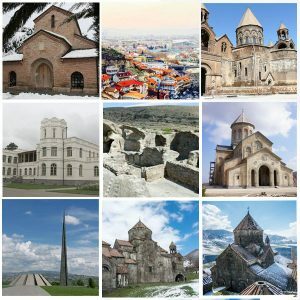 Visit the Cafesjian Center for the Arts at the Cascade, the State Opera and Ballet theatre, the Republic square and the Tsitsernakaberd – the Armenian Genocide Memorial complex. As an add-on, visit Yerevan Brandy factory to sample the world-renowned Armenian Brandy. The price per person for brandy tasting will be $13. Start the hike from Lake Sevan to Azhdahak – the highest peak of Geghama Mountains. Spend the day the way you like. 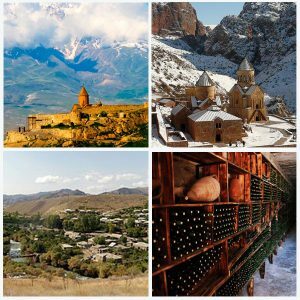 We can offer half or full day guided excursions to Garni temple and Geghard Monastery; Khor Virap – Noravank Monasteries; Armas Wine tasting, or to Burakan Observatory. Please, check with SunTour Travel regarding prices per person for the excursion of your choice.